The VCPWA Transportation Department is working on a number of projects and it is great to see the way multiple projects tie together to provide for a well-connected, multimodal transportation network for our community. 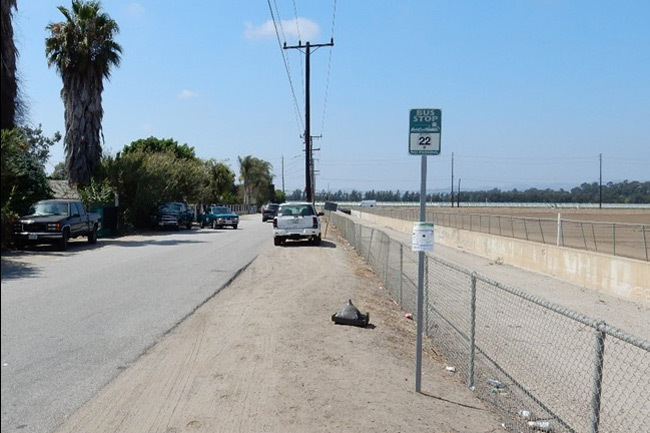 One such project, the Gold Coast Transit Route #22 Bus Stops Project, entails construction of brand new bus stops in the Saticoy and El Rio areas in support of Gold Coast Transit District’s new Bus Route #22, including a stop at Central and Vineyard in the Rio Mesa High School area. 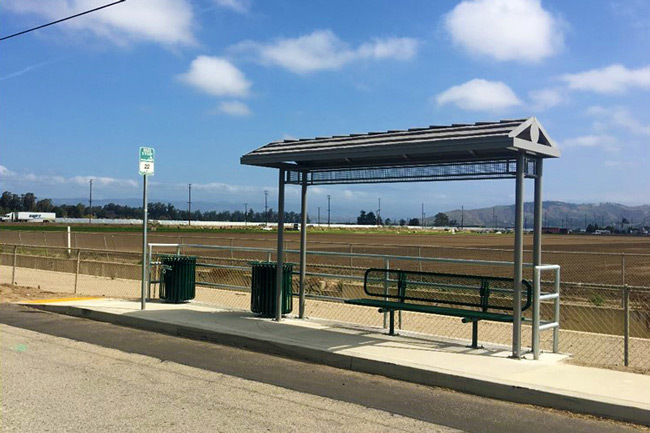 Route #22 was implemented as a demonstration project in August of 2015 and provides a direct route between Strickland Acres, Nyeland Acres and Saticoy, improving transit travel times for riders traveling between Oxnard and Ventura by one hour. This bus route is still in the demonstration period and is showing steady growth in ridership. The new bus stops are projected to help grow the ridership even more. pedestrian projects to increase safety for our County residents. The proposed Central Avenue Pedestrian Improvements Project involves installation of 1,850 feet of 5-foot-wide sidewalk with ADA ramps on the north side of Central Avenue from Rio Mesa High School to Joan Way. The new sidewalk will connect to existing sidewalk in front of Rio Mesa High School and provide a safe route to school. This project will close a 2,100-foot gap in the sidewalk network and provide access to transit stops in the area.